AVG Secure VPN is developed by AVG Technologies. The company started back in 1991 as an antivirus provider. Today AVG is one of the biggest names in the cybersecurity industry. AVG delivers a wide range of protection, performance and privacy solutions for consumers and businesses all around the world. In 2016 the company was acquired by Avast and became a part of the Avast family, the world leading IT security products. VPN or Virtual Private Network is able to protect the Internet connection by encrypting the connection so no one can snoop on users’ online activities. As a result, customers get a secure and private access to any site on the Internet, anywhere, anytime. VPN is a must for those who want to increase their security and privacy online. AVG Secure VPN provides users with uncensored access to their favorite sites, shows, and subscription services. 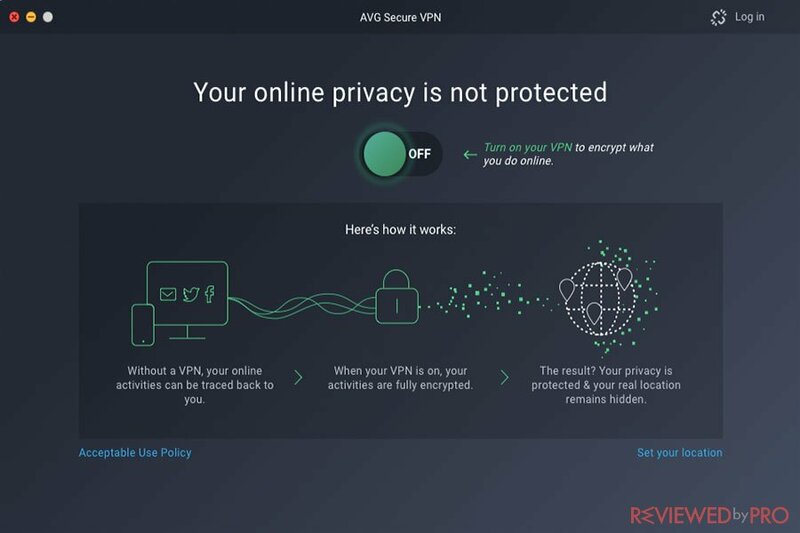 AVG Secure VPN was tested by researchers at Reviewed by Pro and they came up with the main pros and cons. Good performance Expensive per device Good performance and steady connections, however, has a limited feature set and could seem a bit expensive for a single device. If you think having antivirus and Internet security software is enough to ensure your protection and privacy online, but antivirus protection is not able to protect your privacy against cybercriminals, hackers, or those who aim to snoop your online activities. Even though you have an antivirus and Internet security software you still need a VPN service in order to receive complete protection. Antivirus and Internet security software provides protection for your devices against cyber threats, such as malware, viruses, data exploits and more, but only a VPN service is able to secure your Internet connection. If you think that you do not need VPN, think twice. Without a VPN service, users are vulnerable to cybercriminals, hackers, advertisers and even user internet service providers. 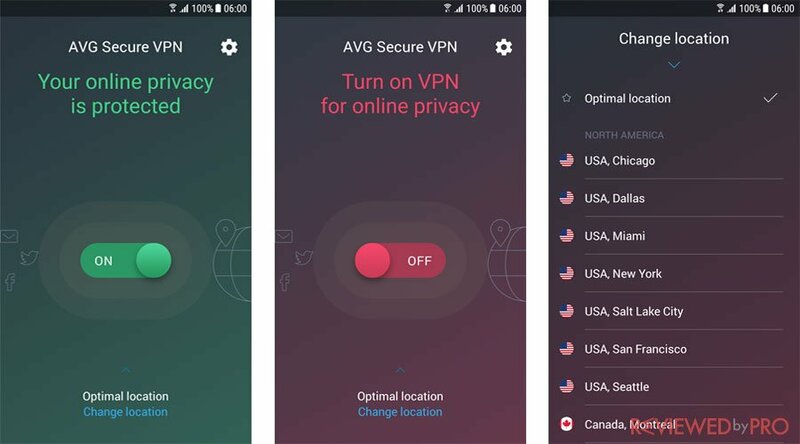 AVG Secure VPN is compatible with Windows, macOS, Android, and iOS devices. You can try it for free, as it offers a free trial. The license starts at $59.99 per device for one year. What we did not like is that it requires separate subscriptions for different operating systems. AVG Secure VPN applies the same backend infrastructure as Avast SecureLine, which is one of the best built-in VPN services available. Similarly, you can integrate AVG Secure VPN into other AVG products. It is very convenient if you use them. 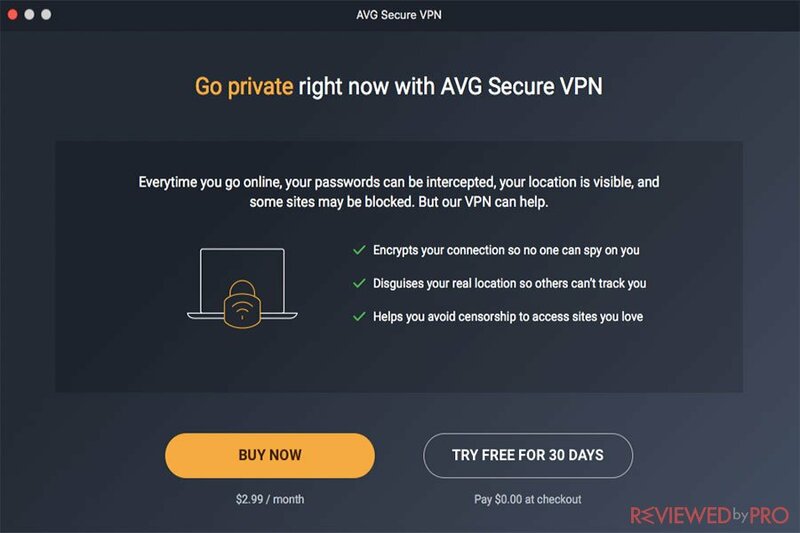 AVG Secure VPN offers users good overall performance and steady connections. According to the FTP speed test, AVG demonstrated an advanced 2MB/s speed from the USA. It has just 20 location points, which is relatively low in comparison to fully-featured VPN services that can have even hundreds. AVG Secure VPN protects users while browsing the public Wi-Fi and secures the connection. What we really liked, that you can turn the VPN on whenever you connect the public Wi-Fi or set this by default. In addition, by using AVG Secure VPN you can access blocked content and bypass censorship abroad. If you are not ready to purchase or think that AVG Secure VPN could not fulfill your requirements, you can try AVG Secure VPN free trial. By downloading free trial you will be able to try an advanced VPN protection for all your devices without any risk! All in one AVG Secure VPN is a reliable and trustworthy VPN service which demonstrates good performance and speed. It is very useful for AVG customers that can link their other security applications to the VPN service. However, in comparison to other VPN services, AVG is relatively expensive and covers only one device with a single subscription. ^ AVG Secure VPN. AVG. ^ Virtual Private Network. Wikipedia, the free encyclopedia. 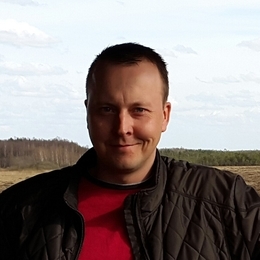 This entry was posted on 2018-02-27 at 07:33 and is filed under Privacy.